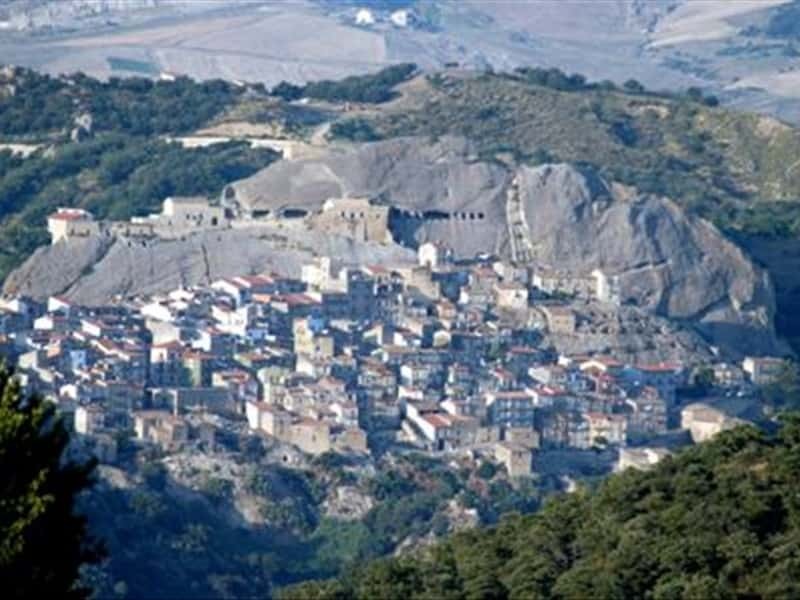 Sperlinga is a town in the province of Enna, set between the Nebrodi mounts and the madonie ones. The place name derives from the latin word "spelunca" (grotto), referring to the troglodytical caves of the area. Already in existence in the XI century as a Norman and Swabian fortress, it remained faithful to the French during the War of the Sicilian Vespers , until it was stormed by Pietro d'Aragona (1283). For approximately three centuries, the feud belonged to the Ventimiglia family. Subsequently, nobleman Giovanni Ventimiglia bestowed it to lord Giovanni Forti Natoli, appointed Prince. He contributed to the creation of the current inhabited center. The town is dominated by the Norman castle, excaved in the rock. Over the entrance it is possible to read the following inscription "Quod Siculis placuit sola Sperlinga negavit", i.e. "Only Sperlinga denied that which the Sicilians desired", recalling the role played by Sperlinga in 1282, on the out break of the War of the Vespers, when the fleeing French found shelter in this castle. The Mother Church, dedicated to San Giovanni Battista, was realised in 1597 by Giovanni Natoli, along the road to the castle. Inside it is possible to admire XVII century paintings and an organ of 1830. This town web page has been visited 23,019 times.